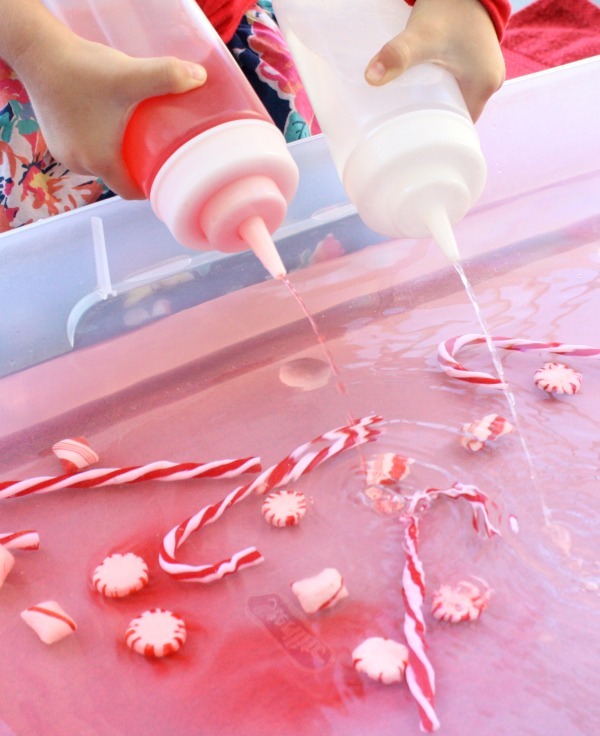 Water play is always soothing, and it’s very easy to adapt it for different holidays. 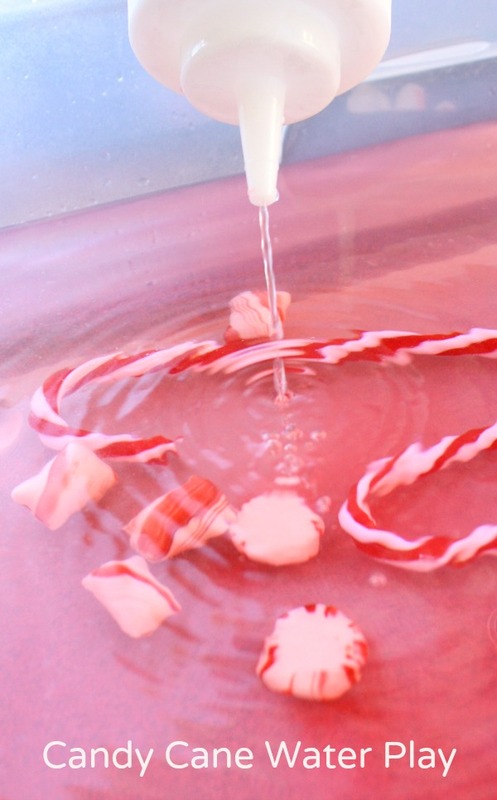 By adding peppermint scent we were able to have a lot of fun with this candy cane water play. 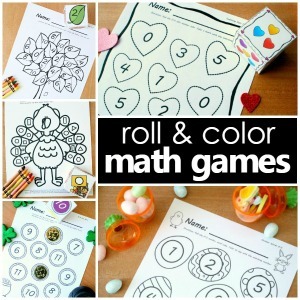 It’s a festive Christmas activity for toddlers and preschoolers. To set up our water play we used a large tub filled with warm (not hot!) water. 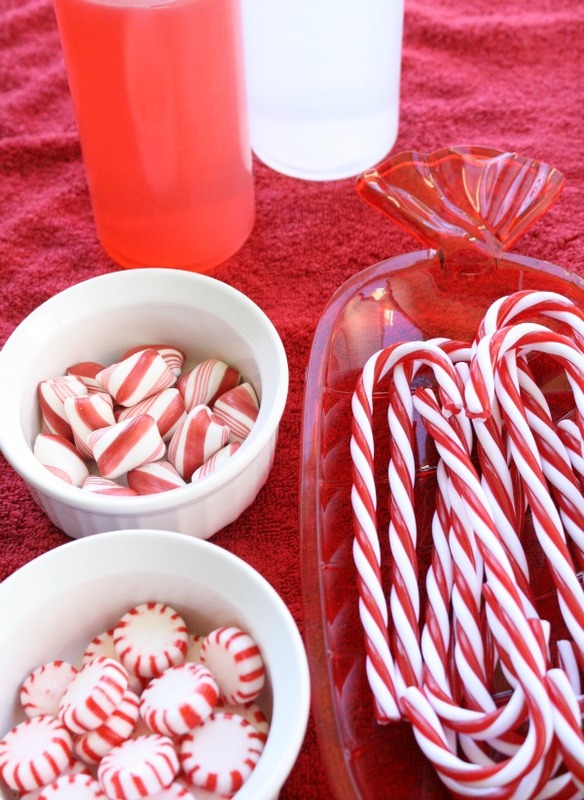 Next to it I placed our candy cane shaped decorations, different kinds of peppermint candies, and two squeeze bottles (affiliate link) of red and “white” water with peppermint extract in them. Tinker was immediately intrigued by the peppermint scent, and she was even so observant as to notice that I accidentally put more extract in the red bottle than I did the “white” bottle. I was impressed by her observations skills! 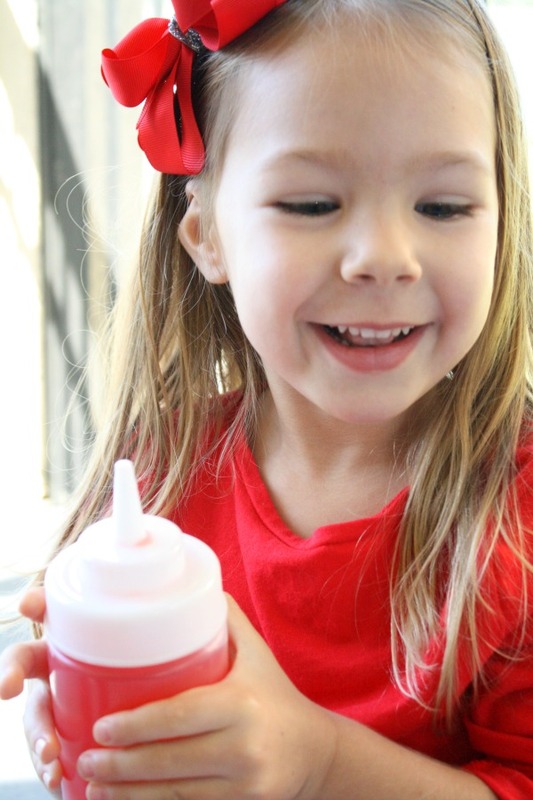 The squeeze bottles were definitely a hit in this activity. She noticed that the more she added from the bottles, the stronger the scent. She also observed that adding more red water changed the color of the water in the bin faster. 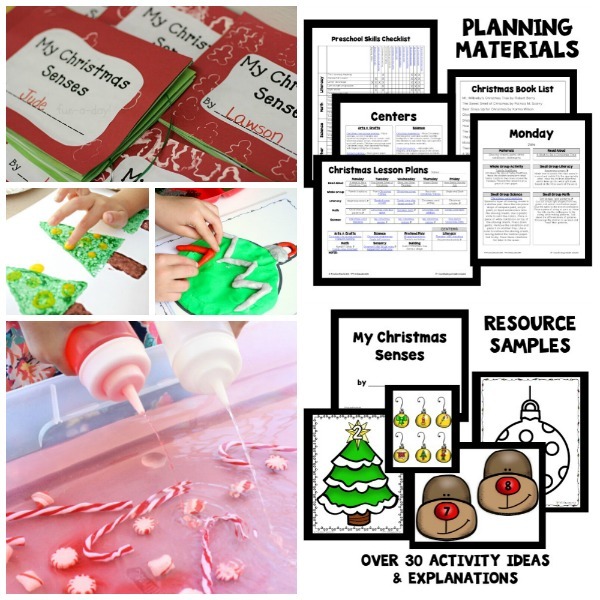 As she played with the different peppermint candies she continued to use her observation skills as she discerned whether each item would sink or float. As the candies began to dissolve in the warm water, she sat for long periods just watching as the color floated away from the surface of the candy and spread out into the rest of the water. 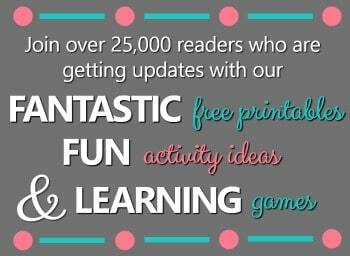 She even wondered aloud whether the candies would still taste minty after all the red coloring was gone. And what’s a scientist to do? Test it out, of course! She was a little perplexed to find out that it did indeed still taste minty without the red coloring. Once she was done observing the unique properties of this sensory bin, she spent a long time enjoying the feel of the water on her skin. Water play never gets old and neither does watching her have this much fun!